A Professionally Groomed Lawn for all 48-inch HC, 54-inch HC and 60-inch HC EZtrak Decks! 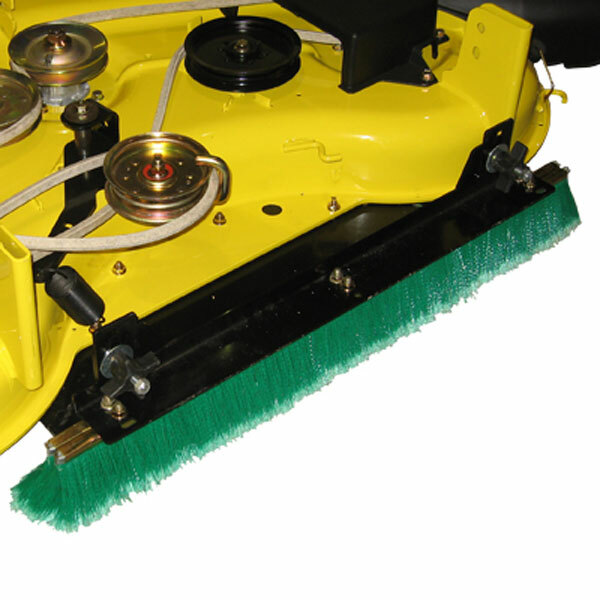 This EZtrak Grass Groomer is a lawn striping kit designed to work with all of John Deere’s 48-inch HC, 54-inch HC and 60-inch HC (High Capacity) mower deck system. 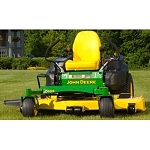 It's inherent characteristics of flexibility, durability, and non-weight bearing design, make it the perfect solution for pattern mowing. The groomer kit was great! Comes with instructions, and all the parts needed are included. brackets are all heavy duty steel. One thing to note however, I have a 48" deck, and the mounting holes are not there, so be prepared to drill through that HC deck. Great product. Stripes nice. Easy to install and adjust. High quality product and fairly easy install. Stripes OK. I don't collect my clippings and I don't cut my grass super tall. Manual says this may reduce effectiveness. 5 star quality 3-4 star results. The grass groomer kit does a nice job adding to the stripe of the HC deck. It's a solid and well built product. 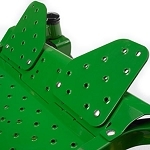 For the HC decks, drilling is required and I highly recommend the use of loctite on the bolts that secure the mounting bar to the mower deck since all four nuts loosened after mowing. The stripe isn't as defined as a roller kit but overall, i'm satisfied. The seller was great and highly recommended.